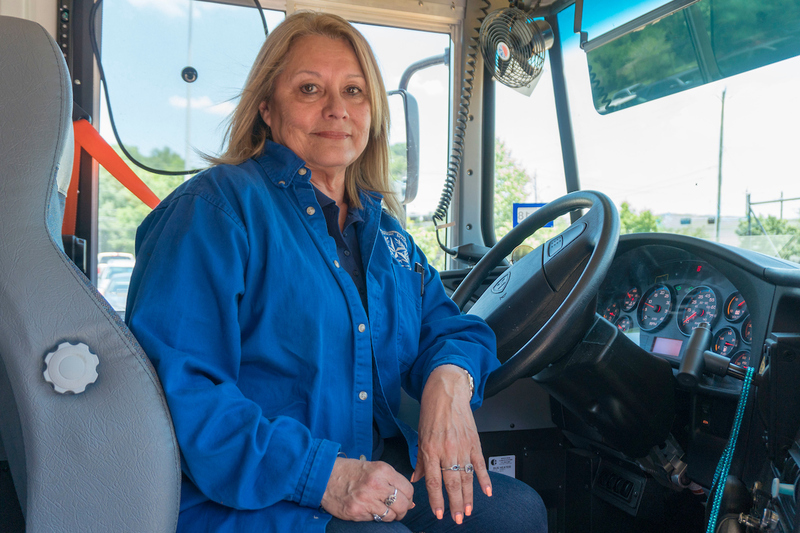 Transportation Services is working to address its driver shortage by offering free training for individuals who wish to obtain a Commercial Driver’s License. The class for the license, also known as a CDL, is held Monday through Thursday from 9:30 a.m. to 12:30 p.m. at the Northwest Terminal (6351 Pinemont Drive) and is open to anyone interested in becoming an HISD bus driver until the start of the 2019-2020 school year. This entry was posted in Business Operations, News, Transportation and tagged business operations, HISD transportation, HISD Transportation Services, transportation, Transportation Services on February 28, 2019 by HISD Communications. Transportation Services is continuing its efforts to address the district’s bus driver shortage with a job fair next week. This entry was posted in Business Operations, Transportation and tagged business operations, HISD transportation, HISD Transportation Services, Transportation Services on February 14, 2019 by HISD Communications. HISD Transportation Services kicked off the new year with 41 fewer bus routes — an intentional reduction designed to streamline operations and increase efficiency. Transportation officials report that operations are running smoothly following the reduction and note they have seen an average of 20 or fewer buses — less than 3 percent of the district’s 860 routes — arriving late to school each morning during the first week of the spring semester. The numbers are tracked manually. This entry was posted in Business Operations, HISD: Our Story, News, Transportation and tagged bus safety, business operations, HISD Transportation Services, school bus, Student Badge program, Transportation Services, ZPass on January 10, 2019 by HISD Communications. Before Houston Independent School District students can grab school breakfast to fuel their learning or pull out books and laptops to begin class, one crucial thing must happen to start the day. They must arrive at school safely. That’s where Norma Garcia comes in. This entry was posted in Achievement/Recognition, HISD: Our Story, News, Transportation and tagged HISD Transportation Services on May 16, 2018 by HISD Communications. 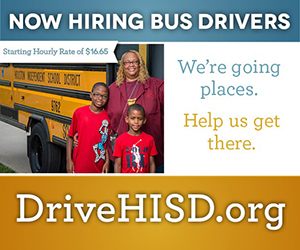 The Houston Independent School District’s Transportation Services department is hosting four job fairs across the city to recruit and hire bus drivers to staff routes for the 2018-2019 school year. May 19, 2018, Hexser T. Holliday Food Services Support Center, 6801 Bennington St. This entry was posted in News, Transportation and tagged HISD Transportation Services on May 4, 2018 by HISD Communications.